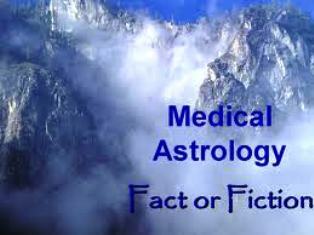 Medical Astrology shows the influence of astrology on our Body Parts. Each sign of the zodiac influences certain parts of our body that may be prone to certain kinds of illness. The twelve zodiac signs are divided into 27 equal parts starting from first point of Aries to the last point of the Pisces. 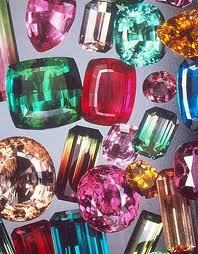 Each part is known as Nakshatra or Constellation. 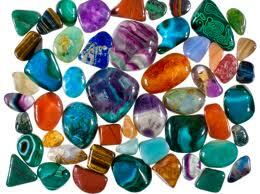 Each Nakshatra represents a body part and the disease related to it. The 2 ¼ of the constellation forms a zodiacal sign. Knowing which disease may affect in future in which body parts can prepare us for the proper diagnose in advance. This article of Medical Astrology Body Parts help us greatly in this matter. The following table shows the Nakshatras and the related parts of the body. The Drekkanas are supposed to play an important role in disease. 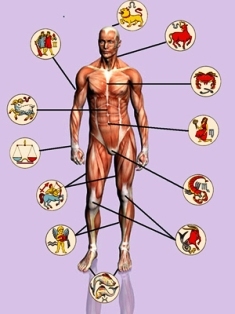 All classical texts stress their role in medical Astrology, especially in locating the site of disease in the body. The three Drekkanas represent three divisions of the body; the 1st extends from head to the mouth; the 2nd from neck to navel; and the 3rd from the pelvis to feet. When the 1st Drekkana rises in the Lagna, the various houses in the horoscope represent the various parts of the body falling between the head and mouth(1st division). When the 2nd Drekkana rises in the Lagna, the parts of the body falling between neck nad navel(2nd division) find representation. When the 3rd Drekkana rises in the Lagna, the parts of the body from pelvis onwards upto the feet (3rd division) find representation in twelve houses of the horoscope. The parts of the body on the right side are represented in houses 2 to 6; those on the left side in houses 8 to 12. The following table indicates the parts of the body represented by the various houses of the horoscope. 1. 22ndDrekkana: The 22nd Drekkana is the drekkana that falls exactly seven houses away from the lagna. It falls in the 8th house on the same degree as those of the lagna. Place the degree of the lagna in the sign occupying the 8th house of the birth chart and determine its Drekkana. The lord of that sign and the planets falling in that sign in the Drekkana chart are evil and capable of causing death and disease. When a Drekkana chart is cast, the 8thhouse of this chart indicates the 22nd Drekkana. The lord of this house as well as the planets falling in that house prove malefic. These are also called Chhidra Planets. 2. 64th Navamsha: Whereas 22nd Drekkana is calculated from the lagna, the 64th Navamsha is calculated from the moon. It falls exactly seven houses from the moon. Place the degrees of the moon in the sign 8th from it, and determine the navamsha of that sign. The lord of that navamsha is the lord of 64th Navamsha. The planets falling in the navamsha chart behaves as a malefic. In the usual Navamsha chart, the sign falling in the 4th house from the moon happens to be the lord of the 64th Navamsha. The lord, its associates and the planets falling in that house in the Navamsha chart behave as evil planets and are also called Chhidra Planets. 3. 85th Dwadshamsha: The diseases caused by inheritance is to be analyzed from here. 8th house of Dwadshamsha (D-12)chart is termed as 85th Dwadshamsha. The planets in this house are indicators of a particular disease caused due to genetic factor which is carried forward from one generation to another. 4. Sarpa Drekkana: The 2nd and 3rd Drekkanas of the sign Cancer, the 1st and 2nd of the sign Scorpio and the last Drekkana of the sign Pisces are termed as Sarpa (serpent) Drekkanas. Planets falling in these Drekkanas tend to produce ill health during their periods and sub-periods if other factors also indicate. 5. Paasha Drekkana: The 1st Drekkana of sign Aries, Leo, and Aquarius, The 2nd and 3rd Drekkanas of sign Libra, the 1st and 3rd Drekkanas of sign Capricorn are termed as Paasha Drekkana. Planets falling in these Drekkanas do not give good results. 6. Khar & Mrityu Planets: If the planets of 8th House in natal chart(D-1) goes to 8th House of Dreshkana chart(D-3), these are called as khar planets and there is definite death in the mahadasha of kharesh. If the planets of 4th and 12th House in natal chart(D-1) goes to 8th House of Dreshkana chart(D-3), these are called mrityu planets. In the mahadasha of these planets there is mrityu tulya kashta not mrityu. These are two subplanets which are the representatives of Saturn. They behave as extremely malefic planets although they have no physical existence. Gulika: Saturn΄s part is known as Gulika. A Lagna or Ascendent is cast for the time when Gulika begins. This represents the longitude of the Gulika. Mandi: This is also another part of Saturn. It is calculated according to Day and Night time Birth.